Register using the Eventbrite widget below or go directly to the Eventbrite page and register there. Celebrating our heroes is our favorite thing to do here in the STC Washington, DC – Baltimore chapter and our annual competition, which just ended, has yielded us all a fresh crop. We will celebrate the winners in our 2014-2015 STC WDCB Summit Competition for Technical Communication at La Sandia, a Mexican delight in Tysons Corner Center, which is an easy walk from the new Silver Line Metro stop. The winning entries will be available for review but it’s the people that will make the party! Come meet some local techcomm heroes, meaning professors: Dr. Liz Angeli from Towson University, Dr. Allen Brizee from the Loyola University of Maryland, and Dr. Heidi Lawrence of George Mason University. 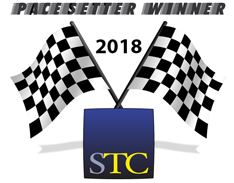 Also meet several of our winners, who will share their secrets for creating award-winning techcomm, and our chapter’s long-distance secretary, Lori Meyer, who will be visiting us from California. Our chapter is celebrating for another reason as well. This year is our 60th anniversary as chapter of the Society for Technical Communication. We received our charter in December 1955, just two years after STC was founded. 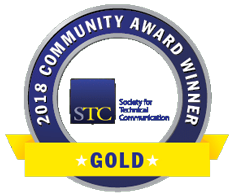 Since then, our chapter has been a standout among all chapters in STC, winning awards and encouraging our members to become technical communication heroes. Bottomless non-alcoholic selection of seasonal fruit waters made in-house, fresh house-made lemonades, horchata, soda, iced tea, and coffee. Check out our other events and join us for great technical communication.